Elsa Peretti Sevillana Ring by Tiffany and Co. Here is a unique design from Tiffany and Co as part of their Elsa Peretti collection. Peretti's elliptical form presents an intriguing figure. Ring of pav̩ diamonds set in platinum. Original designs copyrighted by Elsa Peretti and can be viewed here on ViewTry. 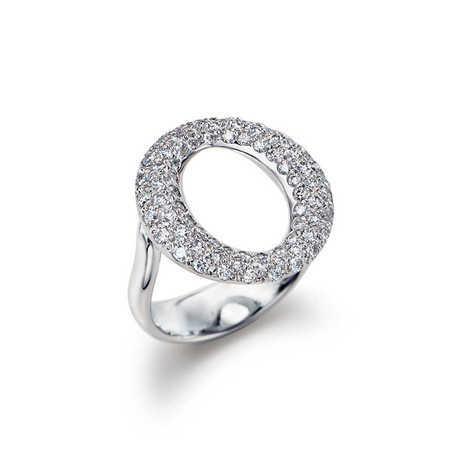 Try on this ring and see if it works with your own fashion desires.